WASHINGTON D.C. – October 29, 2018 – The Plastics Industry Association (PLASTICS) today welcomed Dana Graber as its new senior director of global packaging regulations to lead the association’s regulatory and advocacy programs and projects that relate to the safety of plastic packaging. Graber will serve as a liaison to the Food, Drug, and Cosmetic Packaging Materials Committee (FDCPMC) and the Food Packaging Coalition—a group of trade associations who advocate for effective science-based policy that protect public health and the environment. Graber will work toward aligning food-packaging regulatory policy worldwide, continuing the associations work to ensure the safety of the world’s food and drug supply. She will also advance the FDCPMC’s many projects, including Project Passport, a collection of resources that provide companies with a more effective way to communicate product safety and compliance information about packaging raw materials, components and articles moving through the food supply chain. Graber comes to PLASTICS from the Food Marketing Institute where she served as regulatory counsel, working with food retailer and wholesaler members to address federal regulatory issues that impacted their businesses. Previously, Graber was an associate attorney with Keller and Heckman LLP where she advised domestic and foreign clients on compliance with global food additive and food packaging regulations. 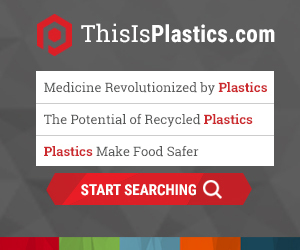 As part of this, she worked closely with the U.S. Food and Drug Administration (FDA), addressing food-contact substances, processes used in post-consumer recycled plastics and other regulatory issues. In addition, Graber has experience with both the Environmental Protection Agency (EPA) as an Honors Law Clerk, and the United States Patent and Trademark Office as a student researcher. She has also worked as a packaging engineer with MeadWestvaco, Cadbury Adams and Kraft Foods. She earned her B.S. in Packaging Science from Clemson University and graduated Wake Forest University School of Law. Graber is an active member of both the North Carolina State Bar and the District of Columbia Bar.